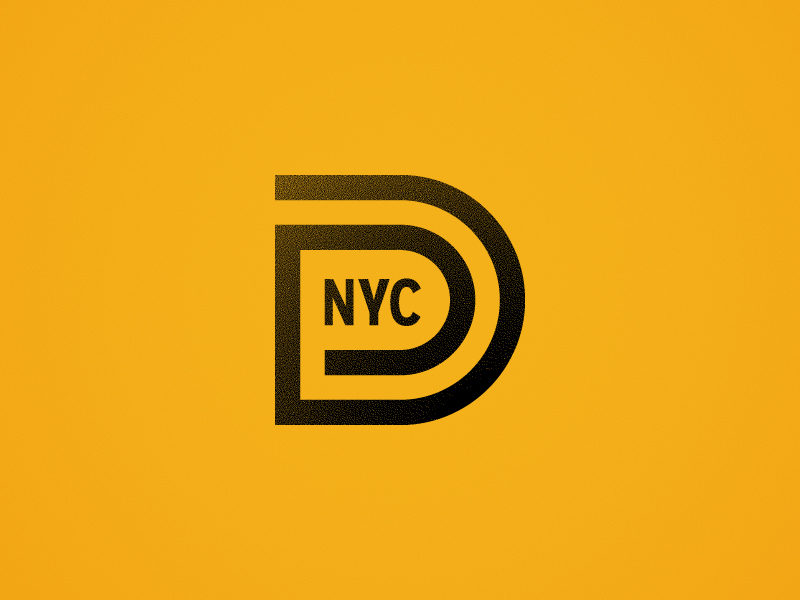 When I first moved to NYC, I'd sometimes meet up with designer friends at a bar to hang. Being creatives, we’d usually have our sketchbooks and sometimes end up drawing. I think after doodling with 4 or 5 friends one time, I started thinking about a bigger idea. 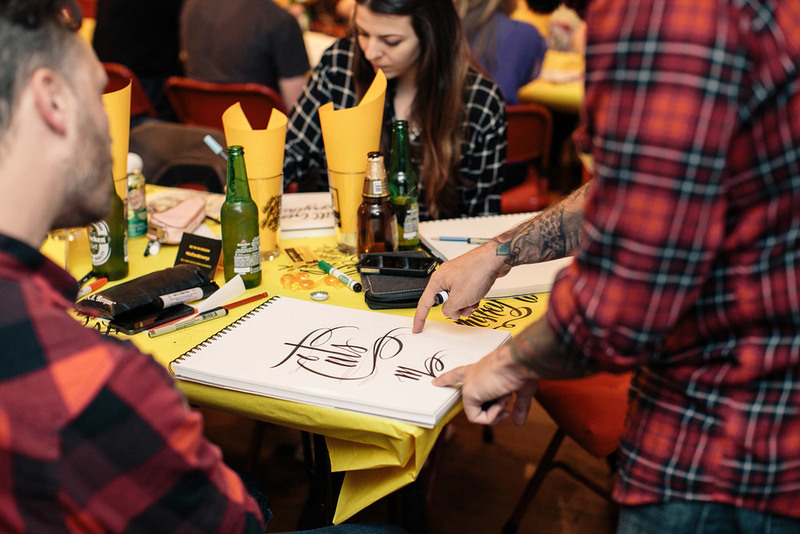 Bringing a large group of people together for a drink and draw had been done but not necessarily within the graphic design realm. At least not the way I was imagining it could happen. The wheels started turning and shortly thereafter I sought out some help from my buddy Shane Zucker. After lots of brainstorming & designing, Draft & Draw was born. 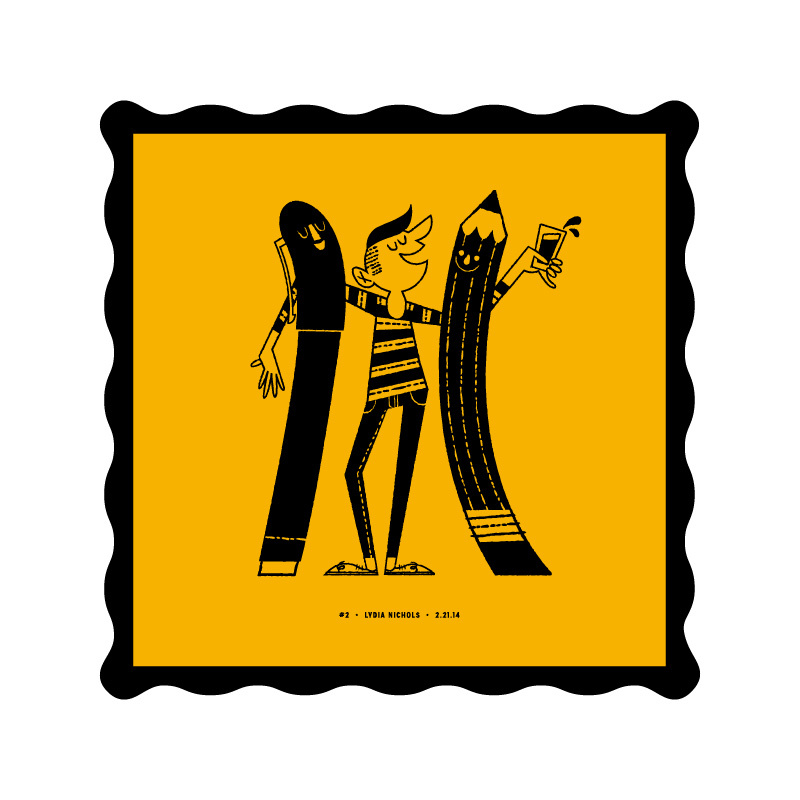 Draft & Draw is a social design event series based around drawing, drinking, friending, & thinking. We all have portfolios with nice finished work, but how did they get to that result? Each event is centered around a local creative & their incredible talent. Draft & Draw asks them to open up their sketchbook and talk about their process. How they start a project. How they utilize tools and techniques away from the computer. Drawing is only 1/2 of the event as we seek to incorporate local craft beer at each event. Thus creating a true local event with talent in both designer & beer. 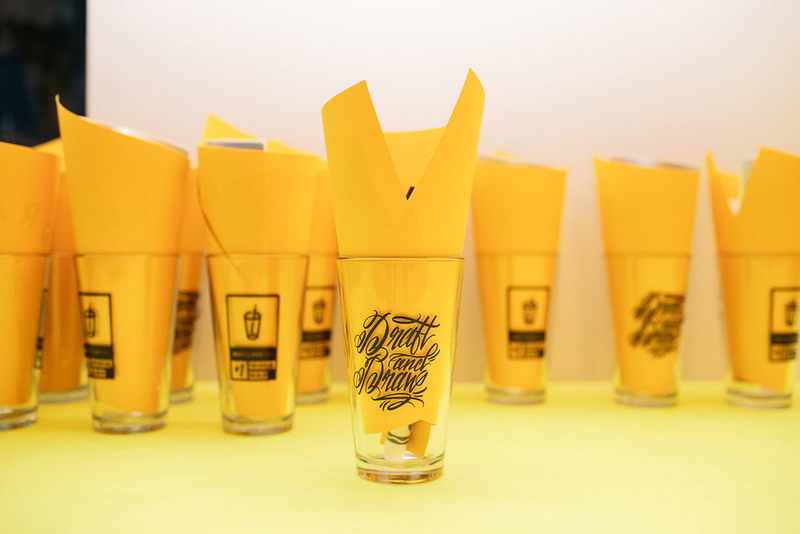 Utilizing the key speaker, attendees get an event specific pint glass, drawing utensil, screen print, stickers, & whatever else we think of for the event. At the time I’m writing this, we’ve only had 2 events and the 75 tickets for the last one sold out in 45 minutes. We now have 2 new speakers locked in for future events and are talking to more. Since its inception last fall, we’ve been asked by 6 other cities across the country to bring Draft & Draw to them. We’re now making plans to expand Draft & Draw chapters across the country and with help, we hope internationally. Since August 2013, I think I've gone through 8 - 10 iterations of the site with only 2 of them seeing the light of day. We are now in the middle of working on version 3 which will be filled with a lot of rad new features. Stay tuned Draft & Draw Alumni! If it wasn't obvious, I have a whole lot of fun making promotional illustrations & videos. Artwork by Two Arms Inc.
None of this would have been possible without our incredibly talented friends that decided to come and talk. Huge shout out to Mike of Two Arms Inc. & Lydia Nichols.